An official USA Chartered Houston Wrestling Club, Paradigm Training Center provides elite training for both youth and adult wrestlers. Our accomplished coaching staff is eager to help you reach your goals. Coach Steve Woods served in the United States Air Force for 21 years where he was fortunate to wrestle for ten of those years. In addition to Houston wrestling for the Air Force he was also a U.S. National Team member and a resident athlete at the United States Olympic Training Center, Colorado Springs, CO from 2000-2004. 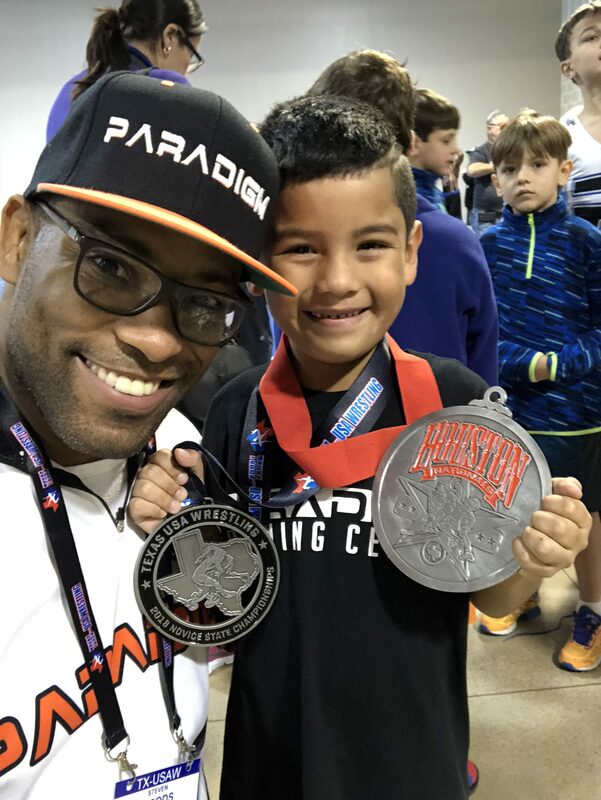 His most notable achievements in the sport of wrestling are: 7X Greco-Roman All-American, 2X National Championships runner-up, 5X Armed Forces Champion, and Pan-American Silver Medalist. 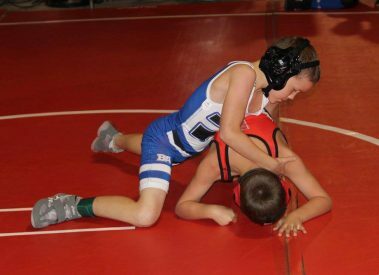 These 45-minute sessions are the perfect way to introduce young children to Wrestling. Participants can transition to the Novice, Intermediate, and Schoolboy at age 8. This entry level group is perfect for new wrestlers in Houston. Participants will learn to wrestle in a friendly and supportive environment. A typical class incorporates agility drills, technical instruction, live training, fun and games. This program is geared towards competitive wrestlers, mixed martial arts competitors, and adults that want to continue wrestling in Houston. Training sessions are oftentimes intense with an emphasis on live wrestling. Houston Wrestlers have unlimited access to our world class training facilities. Wrestle like a Girl female empowerment camp was held at Paradigm Training Center in Houston in June 2018. Throughout the event, girls aged 5 through 18 received training and guidance from some of the best female wrestlers in the industry including UFC Fighters, Olympic Medalists, and World Wrestling Coaches! All attendees were instructed in fundamentals of wrestling and the importance of proper diets, keeping hydrated, and sports psychology. Wrestle Like a Girl is looking to expand their camps and opportunities to include ages from high school and beyond! Paradigm’s accomplished assistant Houston wrestling coaches. We are committed to providing a safe and comfortable environment for our students to learn and grow. 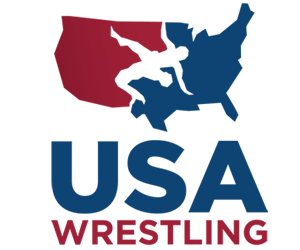 Our wrestling coaches must be USA Wrestling Certified and must maintain good standing with USA Wrestling. 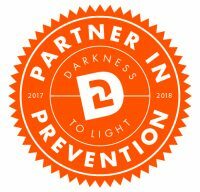 Every instructor is also trained and certified through our partnership with Stewards of Children, a nationally recognized program for preventing and detecting child abuse. 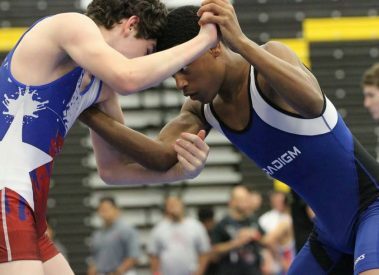 Paradigm Co-Founder Reed Shelger explains why he thinks all kids should wrestle.